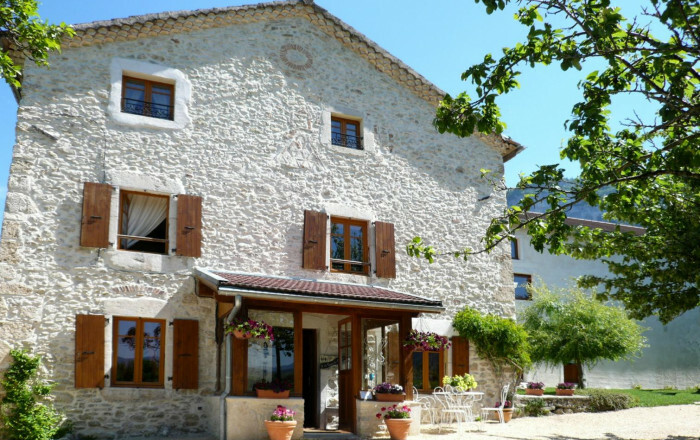 Fully renovated 18th century farmhouse at heart of Vercors Regional Nature park. 10 min. drive from Herbouilly plateau (cross-country skiing, snowshoeing, sled dogs in winter, walking/hiking in summer). Lovely gîte, welcoming atmosphere, warm fabrics, ideal for restful and relaxing countryside holiday. Ground floor: 2 lounges (red lounge with fireplace, yellow lounge with TV), dining room (fireplace), kitchen, utility room, storeroom. 1st & 2nd floors: 5 bedrooms with en-suite bathroom/WC. Games room on 1st floor. Closed garage for 5 cars. Also available: folding cot, high chair for babies.